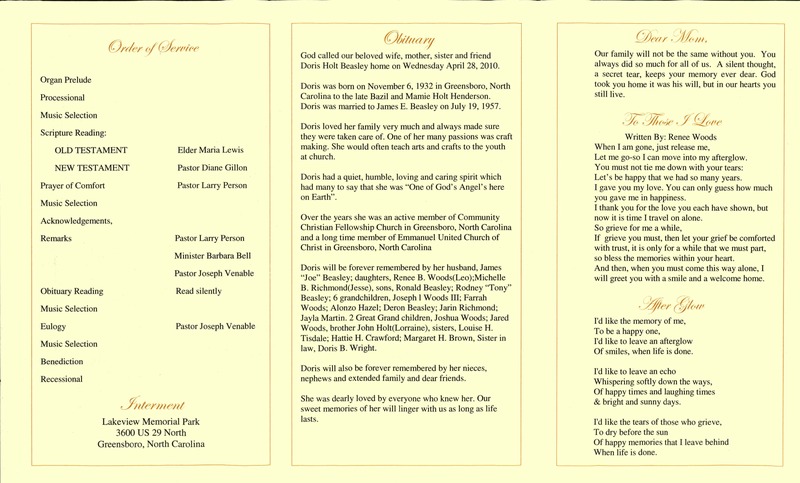 Greensboro | Scuffalong: Genealogy. 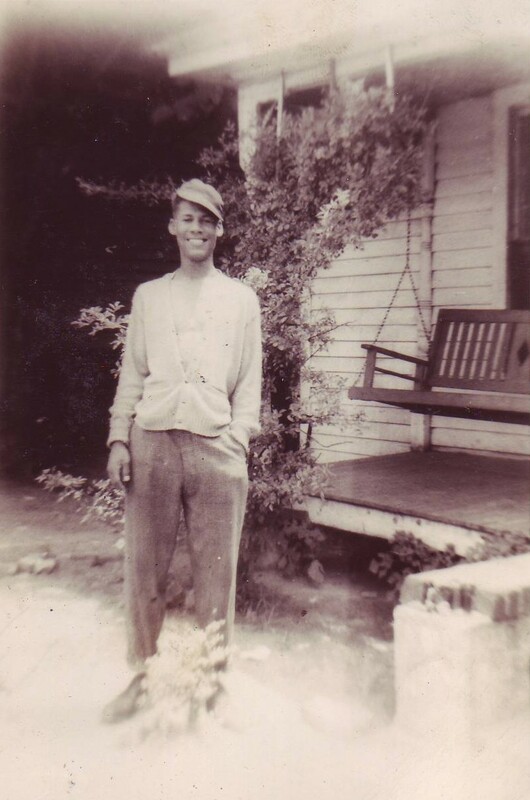 Greensboro – Scuffalong: Genealogy. The husband might become a slave of his children. Ninety years after this petition was filed, a Horace Henderson was born into my extended family, but I know no connection between my Hendersons, who were originally of Onslow County, and Lovedy Ann Henderson. General Assembly Session Records, November 1832-January 1833, Box 5, North Carolina State Archives. This family is found in the 1850 census of Greensboro, Guilford County: Horace H. Henderson, 40, barber, and wife Love, 39, both born in Fayetteville; children James, 18, farmer, Mary Ann, 17, and Timothy, 14, born in Raleigh; and Albert, 10, Sarah, 8, Thomas, 4, and Alexander, 3, born in Greensboro; all mulatto. 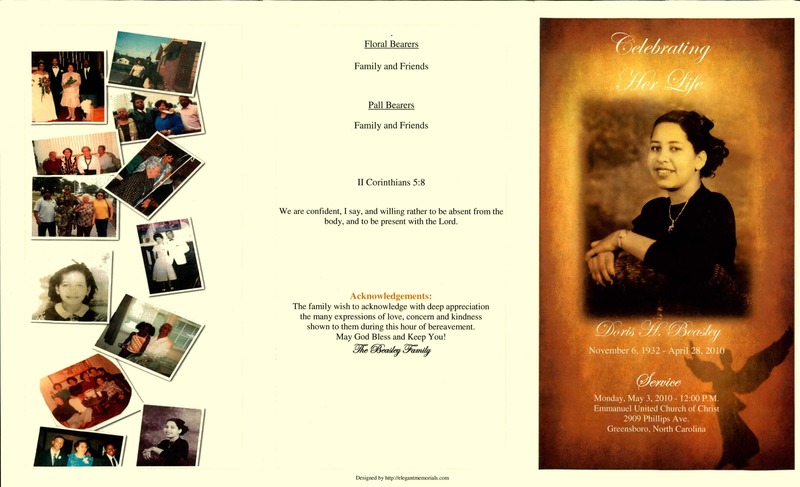 Funeral Program Friday: Doris Holt Beasley. 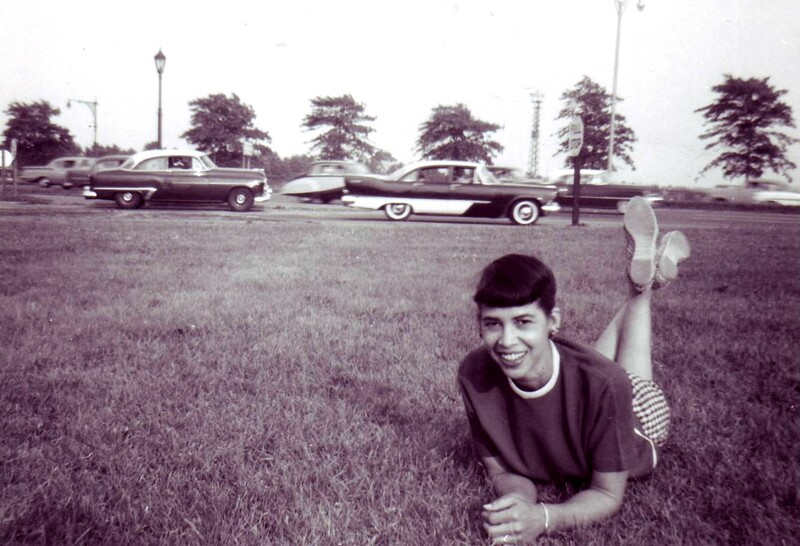 Remembering my father’s first cousin, Doris “Dot” Holt Beasley (1932-2010). 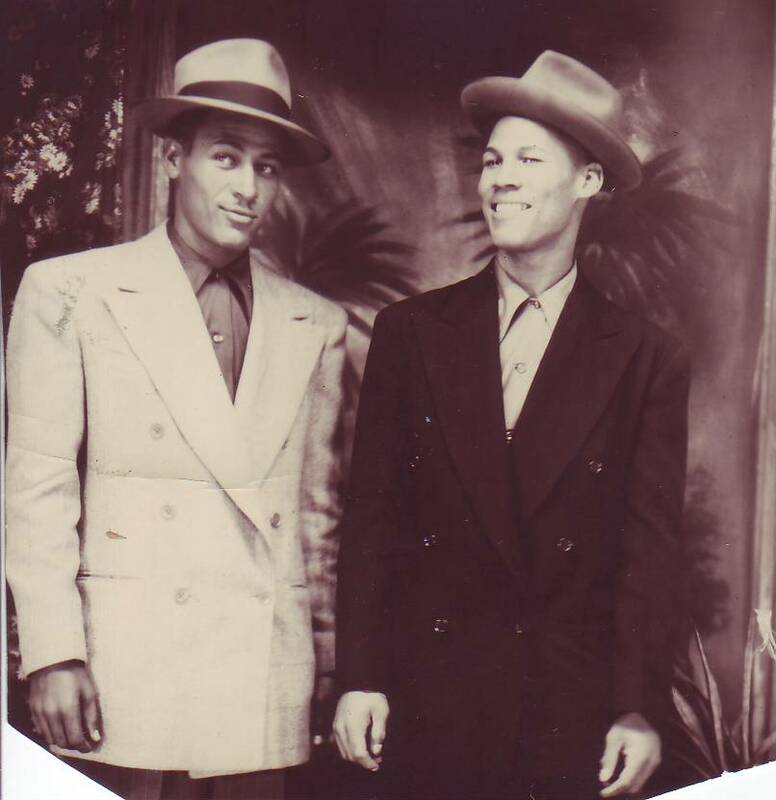 My Aunt Mamie had two handsome boys. John‘s birthday was last week. Jesse Lee‘s would have been today. Jesse Lee was a quiet, brown-eyed, blunt-featured version of his brother. Together, they were beautiful. Happy birthday, Jesse Lee Holt (11 December 1927-27 May 1993). Photographs (or copies) in the possession of Lisa Y. Henderson.